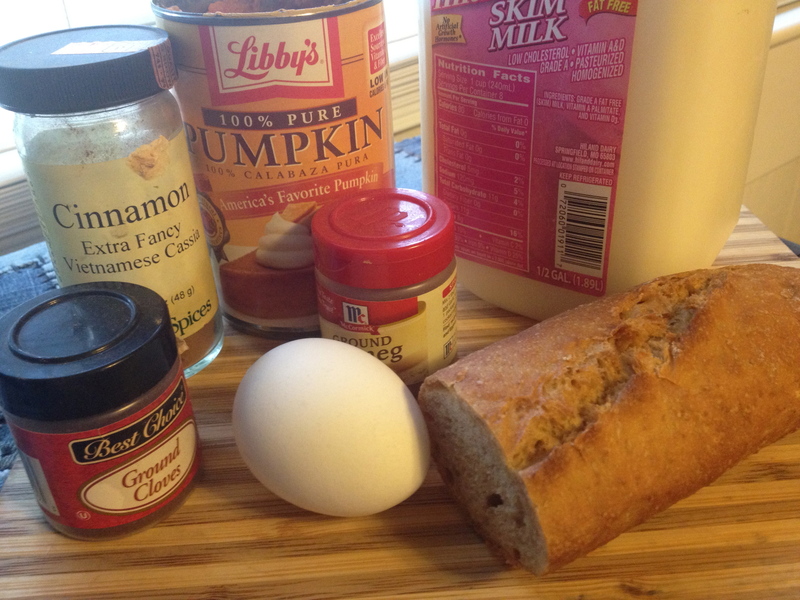 I’ve been looking forward to this morning since Wednesday when Emily Bites posted her recipe for Pumpkin French Toast. The weatherman was forecasting a cold front coming into Oklahoma that would put us in the 40’s (and after a summer of 100+ heat that 40 degrees sounded heavenly). 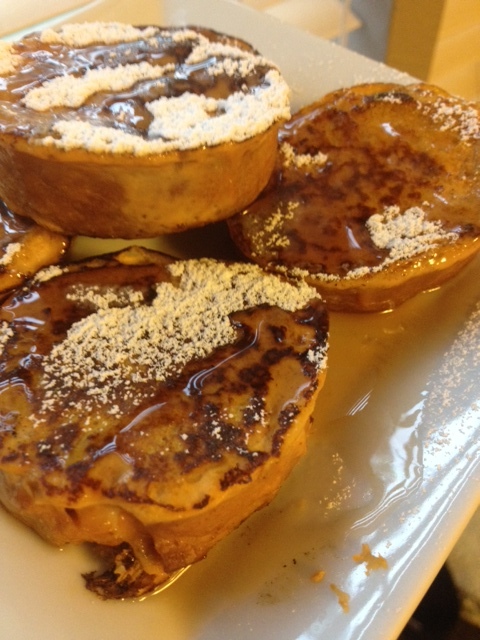 That’s a perfect morning for Pumpkin French Toast. So, I made up a batch but instead of using regular bread I used rustic crusty whole wheat french bread (weighed out a 100 calorie portion which ended up being five 1/2 inch medallions). I topped with some Mrs. ButterWorth’s Sugar Free Syrup and 1/8 tsp powdered sugar sprinkled on top. Seriously scrumptious! Now, I’m off to buy dirt to plant my new 1/2 price rose bushes and pansies!! I love fall… love it! 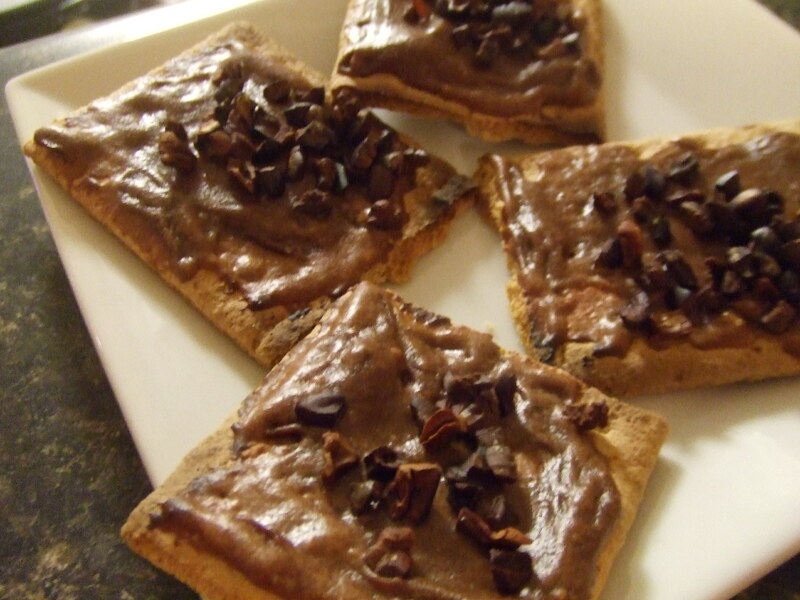 This cool weather has me dreaming about camping… and craving something sweet.. so, I made a new recipe for “healthy S’mores” from Clean Eating Magazine… Man, this was good.. 4 points plus.. makes 2 servings… and takes about 5 minutes to make..
1/8 cup low fat philadelphia cream cheese (I used whipped but you can use lowfat too)..
1/2 tbsp raw honey (you can use splenda or some other sweetener)..
mix above ingredients together and top each cracker..
then top with 1/8 cup cacao nibs..
Now, I’m looking forward to tomorrow night when I can finish off the leftovers.. and I still have 12 points remaining… this has been a good, good day.